Rosé has seen a huge boom in sales over the last twenty-five years. Popular particularly with younger drinkers, its move into the spotlight seems to be part of a fashion for all things pink. 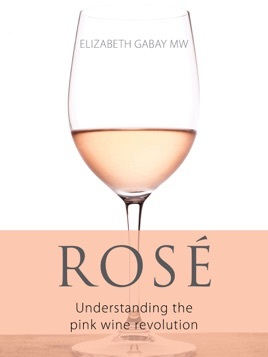 The wines are often thought of as fresh and undemanding but while for many that is part of their appeal, here master of wine Elizabeth Gabay reveals the other side of rosé, discovering wines (some unavailable beyond the winery steps) that are every bit as complex and intriguing as their red and white cellarmates. After taking us through the history of rosé and discussing varieties and winemaking methods, Gabay turns her attention to the regions where rosé is made, first introducing us to historic wines such as Tavel, Cigales and Rosé d’Anjou. She next journeys to the heart of the revolution, Provence. The region’s pale-hued wines have become the height of fashion, with wineries owned by Hollywood stars and wines such as Garrus commanding premium prices. Unsurprisingly this has led to much emulation, but as Gabay continues her global rosé investigations she discovers that pale is not the only interesting form of rosé. Indeed, one challenge for rosé producers is persuading drinkers to look beyond the colour, for as Rosé demonstrates these wines come in a huge variety of styles. From traditional clairet rosés made using the saignée method to vins gris, natural wines and experimental styles, produced as far afield as British Columbia and Marlborough, California and Crimea, Gabay has tried (nearly) all of them. The result is a detailed yet conversational book that will provoke discussion among those in the industry, wine aficionados and students.